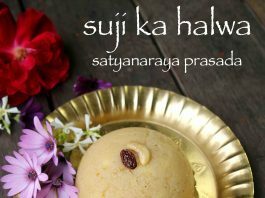 suji ka halwa recipe | sooji halwa for satyanarayan pooja | sheera recipe with detailed photo and video recipe. 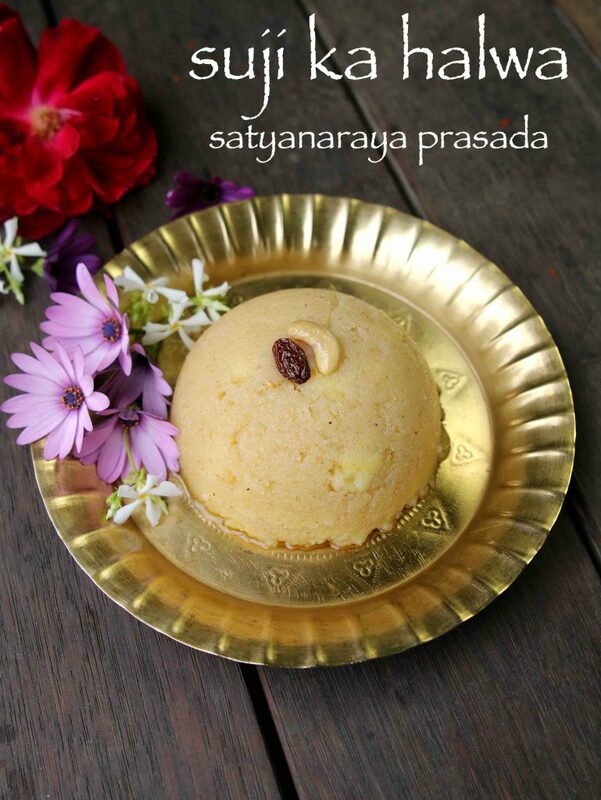 a simple and classic indian sweet dessert recipe prepared as offering or prasada for the satyanaraya pooja. the recipe is also known as banana sheera as it is prepared by mixing semolina, sugar, ghee and finely chopped banana. 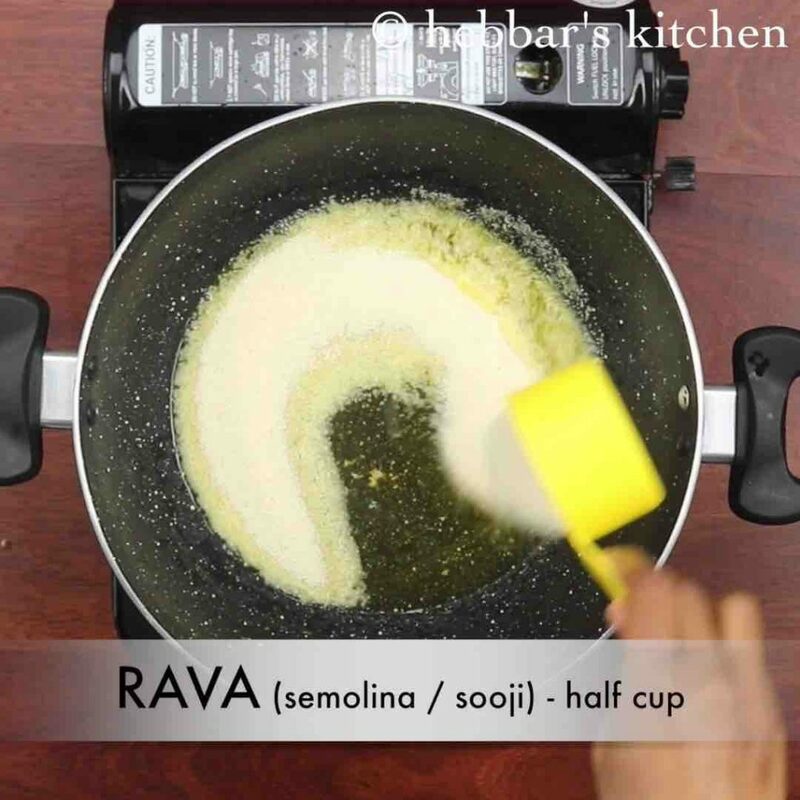 the recipe for sooji ka halwa may strongly resemble rava kesari. suji ka halwa recipe | sooji halwa for satyanarayan pooja | sheera recipe with step by step photo and video recipe. the simple sooji ka halwa which is prepared for day to day use or breakfast may not involve banana slices. 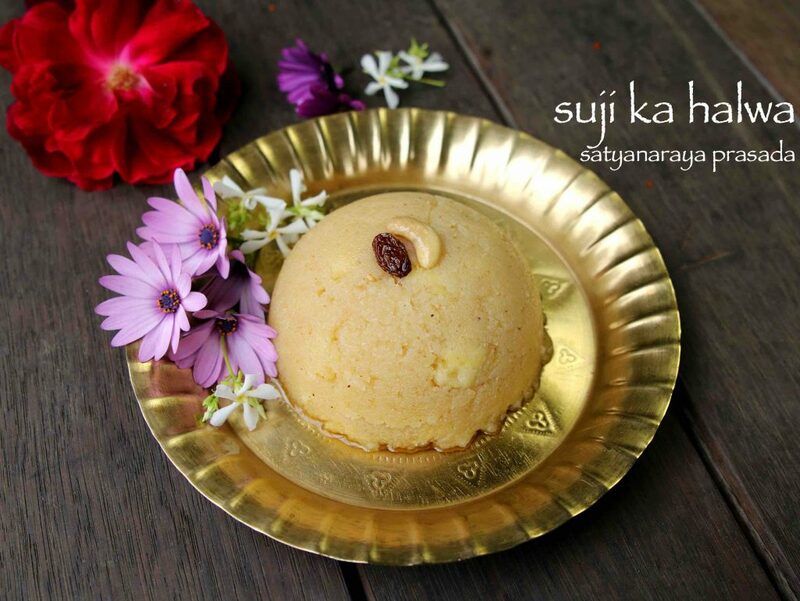 but is a must if suji ka halwa is prepared as offering or prasadam for satyanarayan pooja. 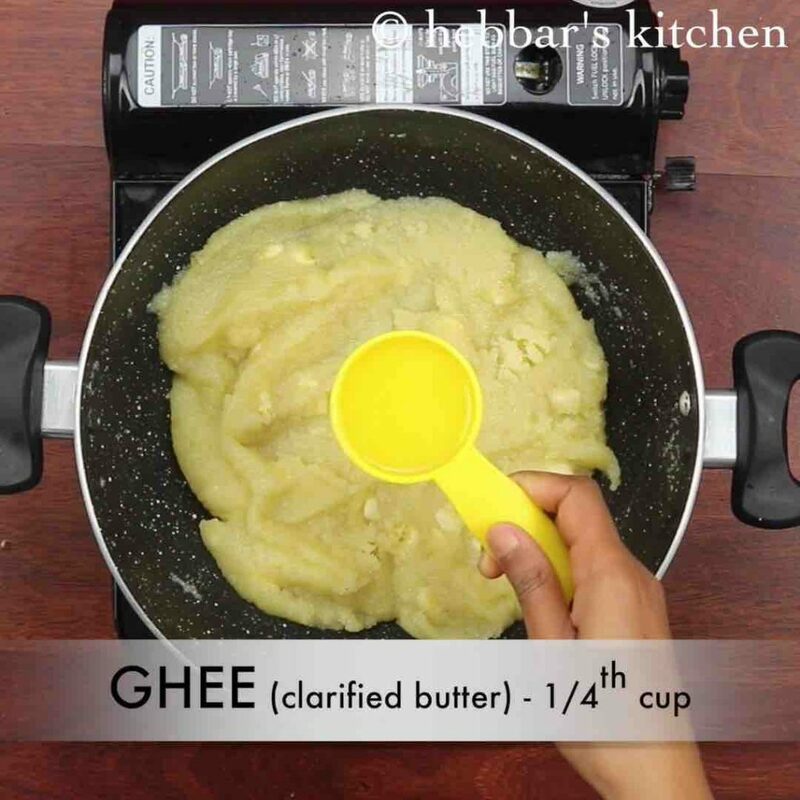 also the quantity of ghee is comparatively more and hence can be reduced if it is not prepared as offering. the recipe for suji ka halwa is very similar with the texture to popular rava kesari. however the recipe procedure and taste are completely different and more importantly the purpose is completely different. 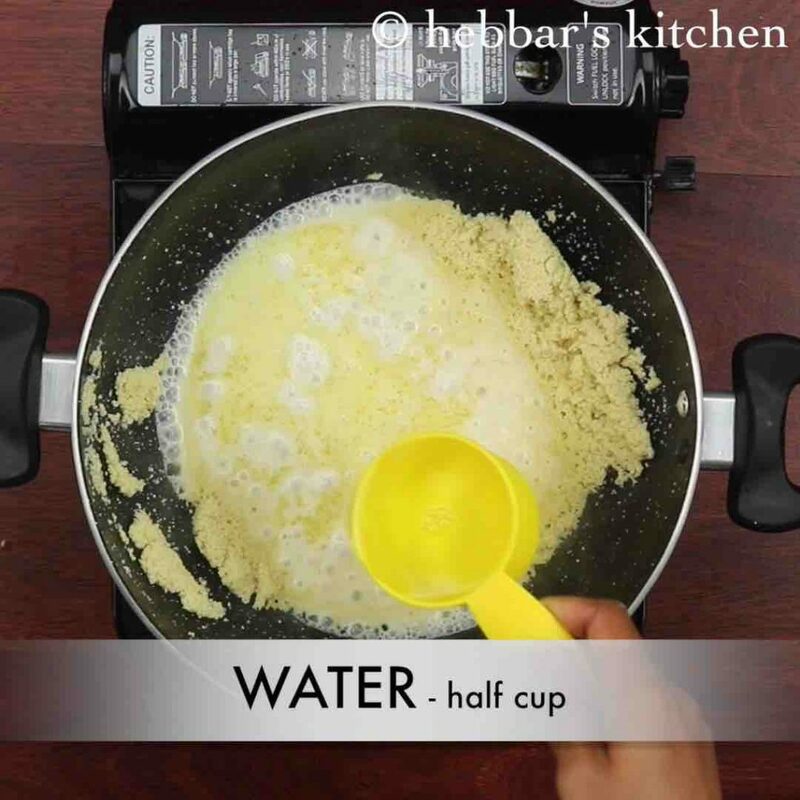 sooji halwa is prepared mainly with the combination of water and milk and hence it gets the creamy and smooth texture. moreover the ingredients like sugar, ghee and rava added to this recipe should be of equal proportions. that is the common and must standard especially if sooji ka halwa is prepared as offering for satyanarayan pooja. in addition the main and significant ingredient is the sliced banana. in maharashtra the banana are boiled and cooked before adding it to sheera but in my native we directly added it while cooking and hence i have followed the same. 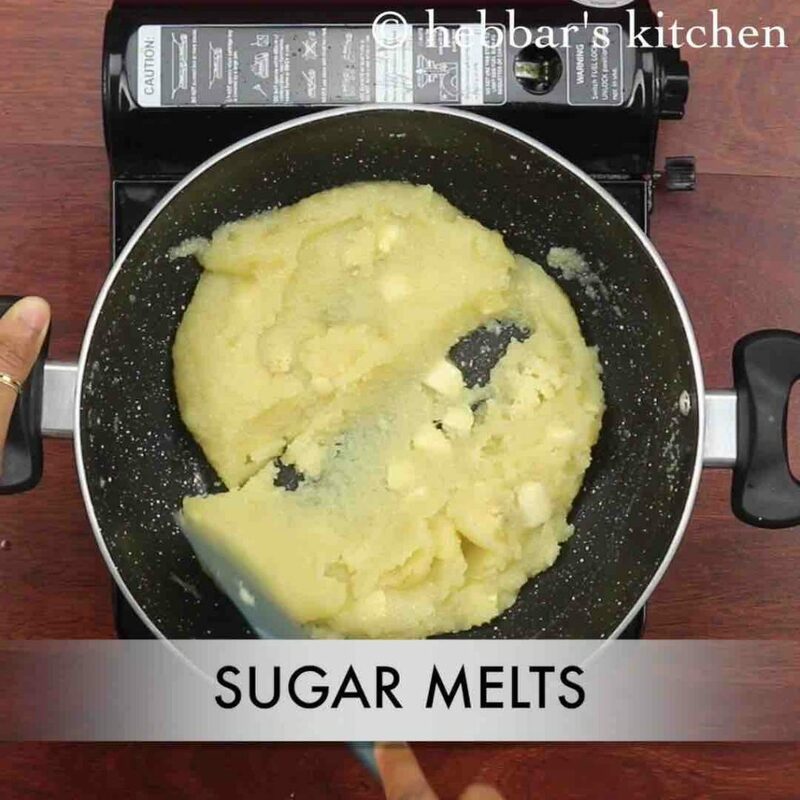 the recipe is extremely simple for suji ka halwa, yet some easy tips and recommendations while preparing it. firstly, roast the rava on lolw flame till it turns aromatic, else there are chances for halwa to turn sticky. also, adding fresh homemade ghee makes prasada more rich and flavourful. finally, adding ewual proportion of rava, ghee, milk, water and banana is must if preparing for prasada else you can reduce to your choice. 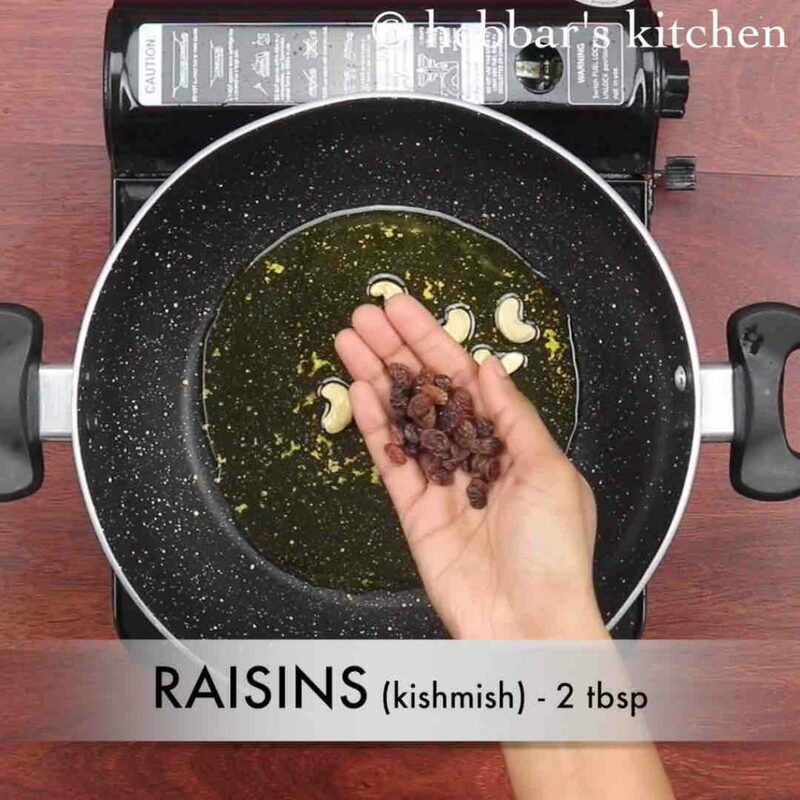 firstly, in a large kadai heat ¼ cup ghee and roast 10 whole cashew, 2 tbsp raisins. once the cashew turns golden brown, keep aside. in the same ghee roast ½ cup rava on low flame for 5 minutes or till it turns aromatic. further add ½ cup milk and ½ cup water. keeping the flame on low, stir continuously without forming any lumps. 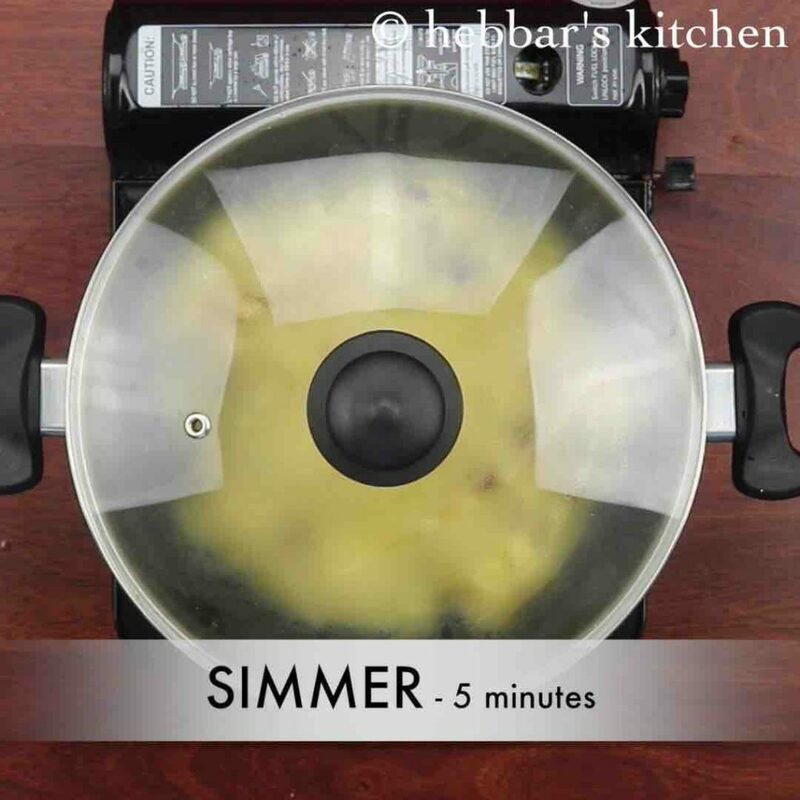 cover and simmer for 5 minutes or till rava gets cooked completely. 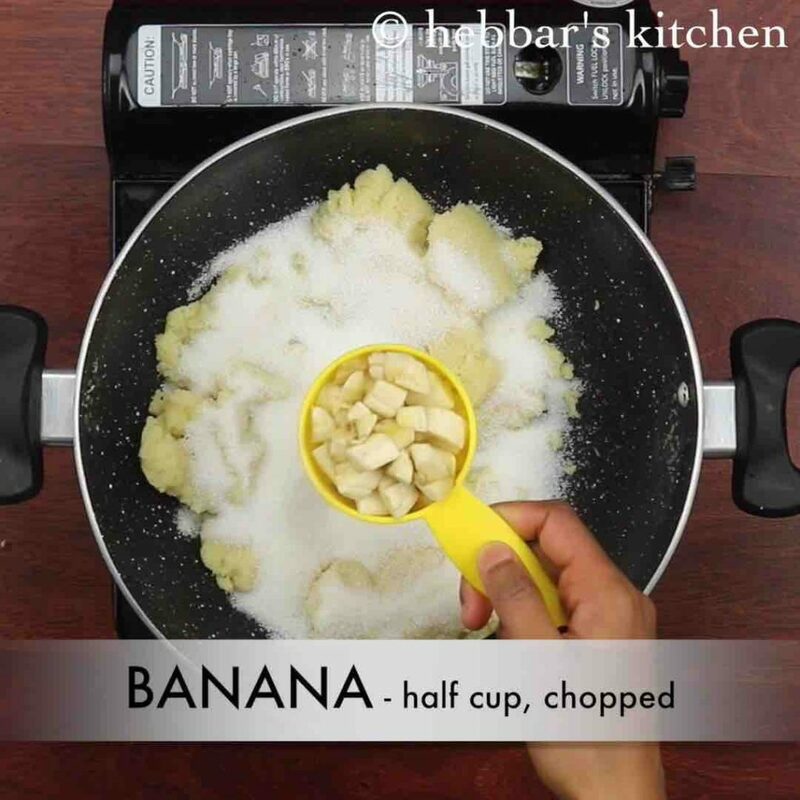 now add ½ cup sugar and ½ cup chopped banana. mix gently making sure not to mash banana and sugar melts completely. 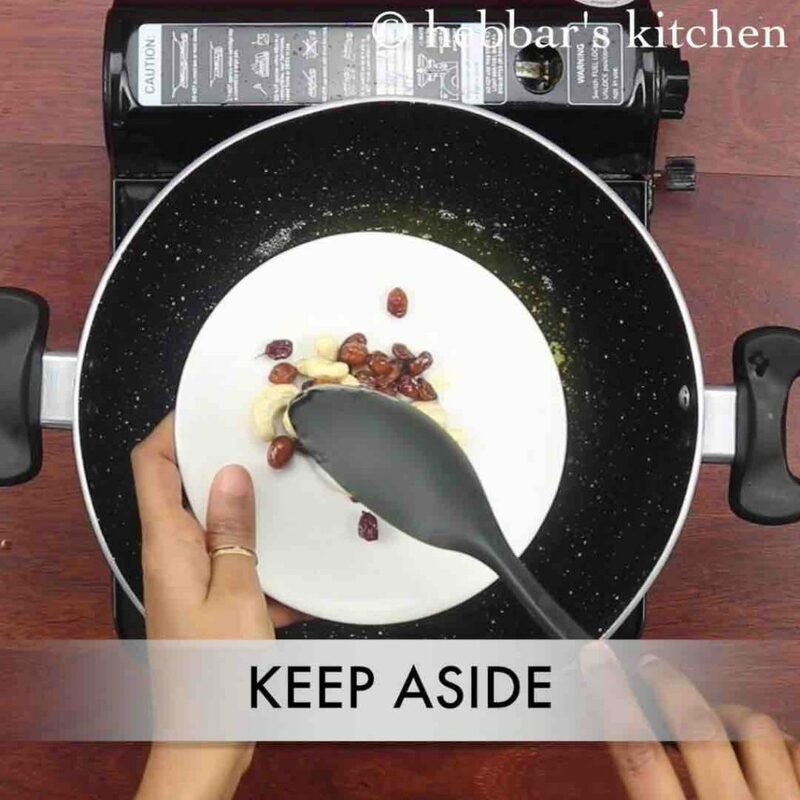 furthermore add in ¼ cup ghee, roasted dry fruit and ¼ tsp cardamom powder. 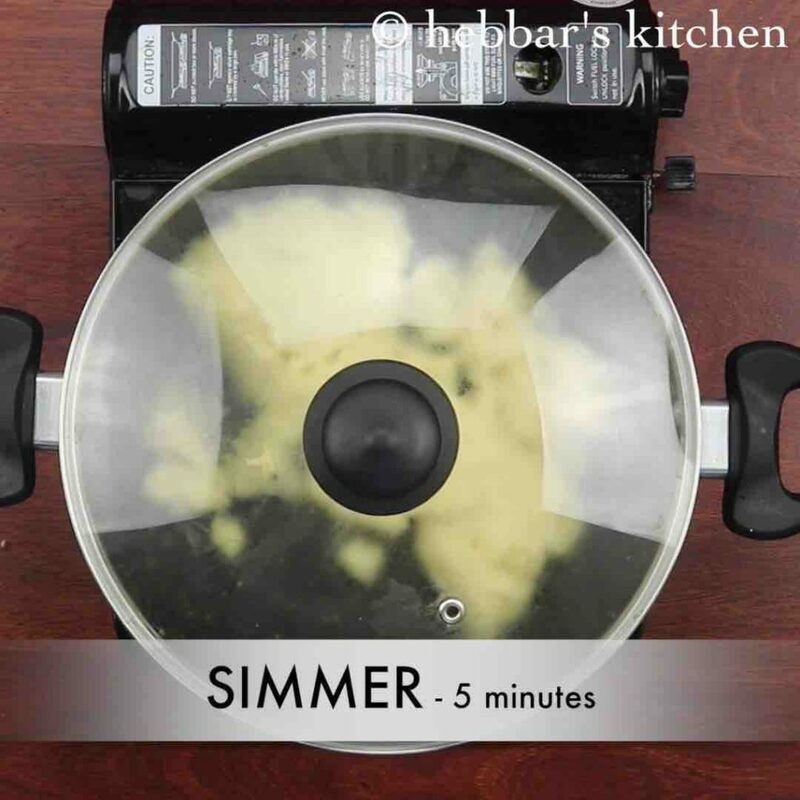 give a good mix, cover and simmer for 5 minutes. finally, suji ka halwa / sapada bhakshya is ready to offer for sathyanarayana pooja. firstly, sathyanarayana pooja prasada is prepared with equal proportion of ghee, rava, milk, water, sugar and banana. however, you can vary if you are diet conscious. 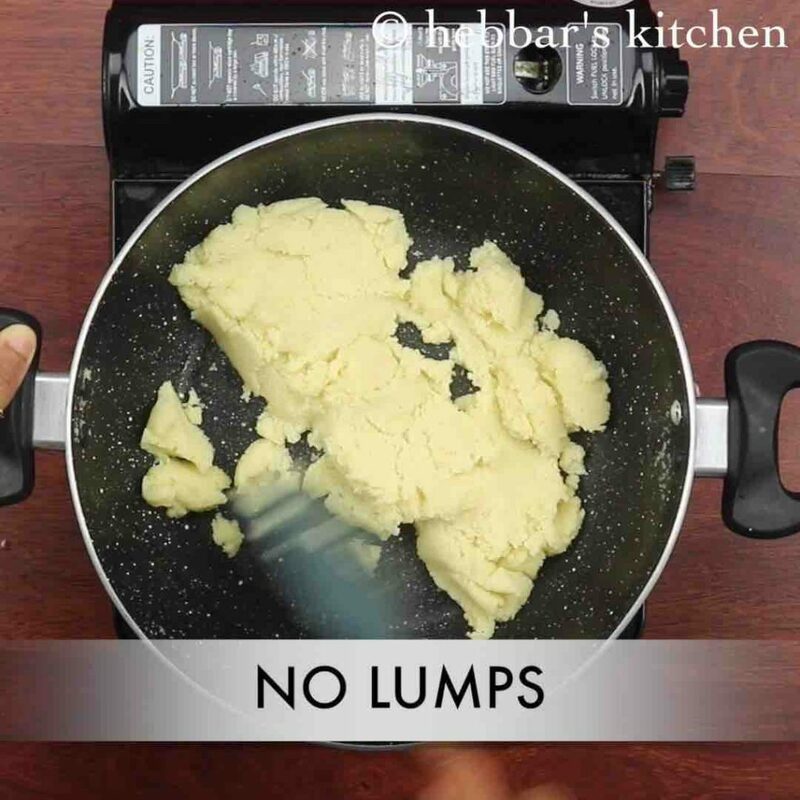 also cook the sheera on low flame, else there are chances for lumps to form. additionally, add ripened banana for more flavour. finally, suji ka halwa / sapada bhakshya taste great when served hot.